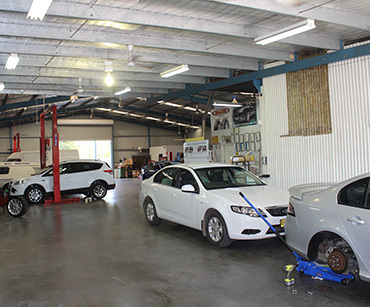 Our workshop team can assist you with regular servicing of your vehicle and to resolve any issues you may be having with it. Contact us to make a booking or to find out more - visit our servicing page. Biti Motors has a comprehensive range of new and used vehicles available to view. Visit our car listing page to browse our stock today! Have a Question? Need a Booking? Visit our contact page and get in touch! We look forward to assisting you in any way we can. Fair deals from a family owned business. 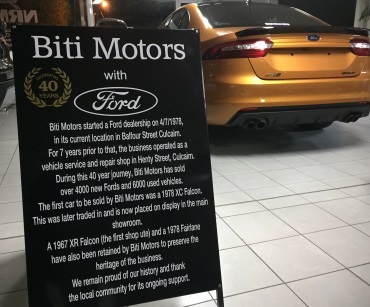 For 40 years Biti Motors has been a successful and proud family owned business in regional New South Wales. We pride ourselves on fair deals for all of our customers, in both Car Sales and Servicing. We want our customers to be happy with their purchase and to get the best value possible at all times, backed by our Ford Price Promise for peace of mind. 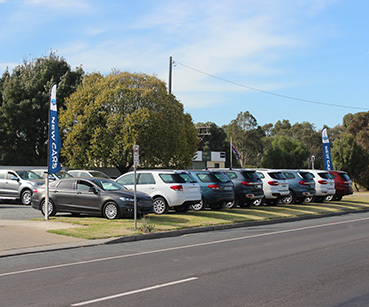 Take advantage of the latest deals from Ford Australia.